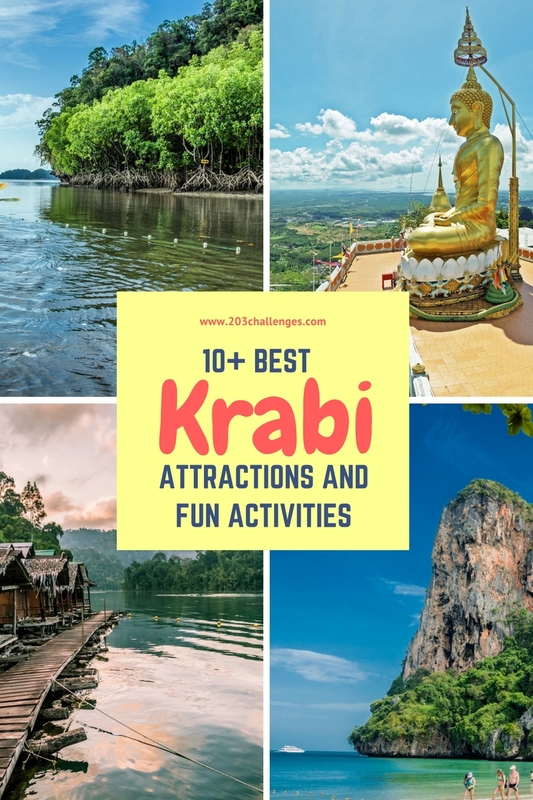 Explore the best of Krabi Town and its gorgeous surrounds, from Instagram-perfect beaches and tiger cave temples to flying fish bays and emerald-colored mineral pools. 1. 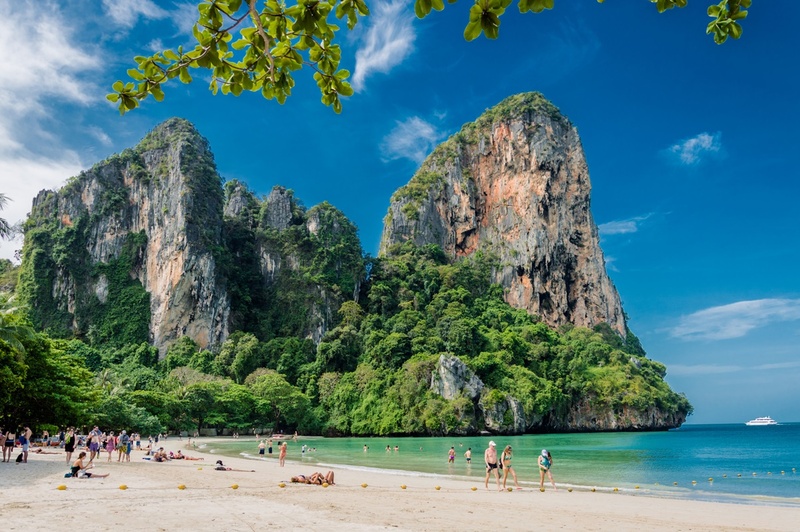 Krabi Province still manages to preserve its nature and beaches, keeping them as unsullied by human influence as possible (especially compared to other locations like Koh Samui or Pattaya). Most of the Thai people here live a normal life unaffected by the tourism industry, and this is your chance to delve into that Thai lifestyle in its most traditional form. 2. There are some surreal, almost unbelievably beautiful beaches in the area (see below). 3. The nearby bay is home to a species of flying fish. Flying fish! Krabi and the south of Thailand as a whole is home to a large Muslim community that has been living peacefully with the Buddhist majority for more than five centuries. You will see many girls and women with their hair covered by scarves, and you might even hear the muezzin call of local mosques. It may be a bit hard to find pork, too. Like many Thai towns, Krabi has a night market with street food stalls, cheap clothes and plenty of trinkets. With every step, a new whiff tickles your nose and invites you to taste this, and this, and this… Everything is prepared in front of your eyes. In the high season (December–February) you can come across live performances and traditional local festivals. Open: Friday–Sunday. 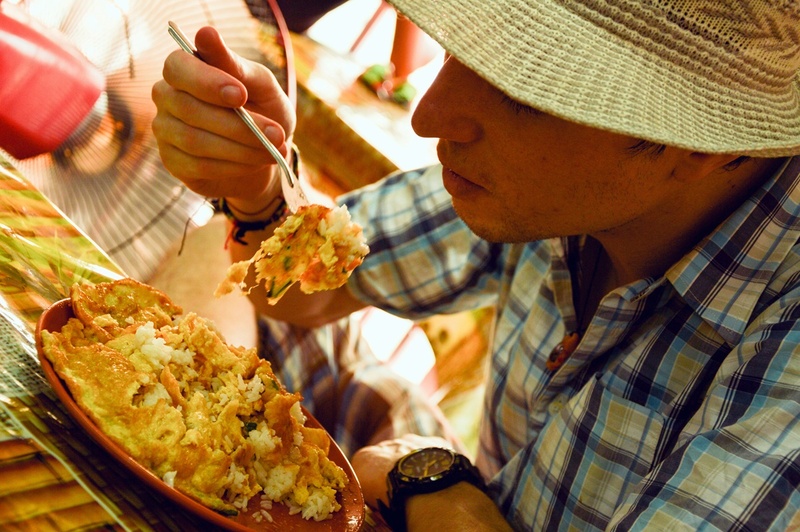 Special tip: Search for the Krabi fried ice-cream stall, where the very preparation of your dessert is a show in itself. There are a few second-hand bookshops in Krabi Town, although you can also exchange a book at fairly unexpected places, including fast food venues. Just look for a pile of dusty books in the corner of the restaurant; as well as feeding your body, you can feed your treasure hunt spirit as you search for a book in a language you speak. 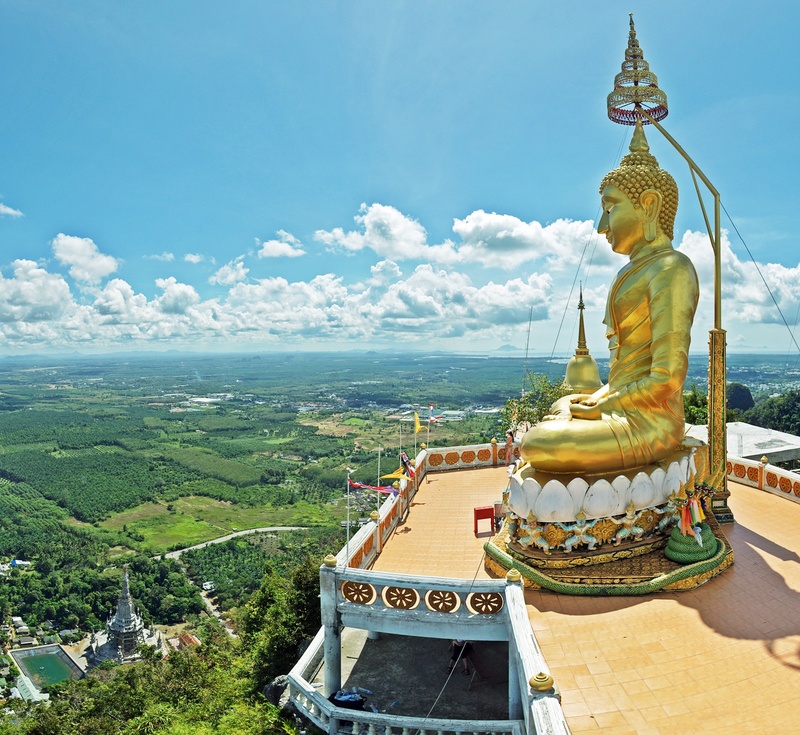 The Tiger Temple is the historical highlight of Krabi, with its legend of a tiger living in the cave where Buddhist hermits sheltered for years, and the amazing view from its top. Climb the 1000+ steps, try your best to avoid the cheeky monkeys (don’t leave anything on the ground – anything!) and enjoy the fresh wind and the landscape at the top. How to get to the Tiger Temple: The cave is located a bit out of the city, but it’s easy to get to. You can either take a taxi (500 baht return and the driver will wait for you) or use public transport. Look for the red pick-up vans – songthaew in Thai – that serve as a public shuttle, and take one to get to the temple. Just go to the riverside road, wave one of them down and say you’re going to the Tiger Temple. The rate is 50 baht for foreigners, although locals only pay 20 baht. There’s no need to argue or haggle over the price, as every driver will charge you this amount. Once you get there, the driver might ask you when you plan to return in order to be there and take you back, but you shouldn’t really rely on this promise, as they usually don’t come back. Just take another songthaew home. Tha Lane Bay is an amazing slice of nature that buzzes with life, and there’s no better way to explore it than to grab a kayak and paddle out into the blue. Your camera is another essential piece of equipment, as you’ll want to photograph the many lovely creatures frolicking about in their unspoiled, natural home. Flying fish are hard to capture in a photo, but simply seeing them leap out of the water with fill your heart with joy (as if you’re in a real-life Super Mario game). If you come at sunset, the tide is low and sand islands emerge from the water, leaving the walking fish and starfish exposed and posing for your camera. Monkeys searching for food also join the party, together with monitor lizards and hundreds of birds. The sunset at Tha Lane Bay is one of the most beautiful in Thailand (trust me, I’ve seen many). 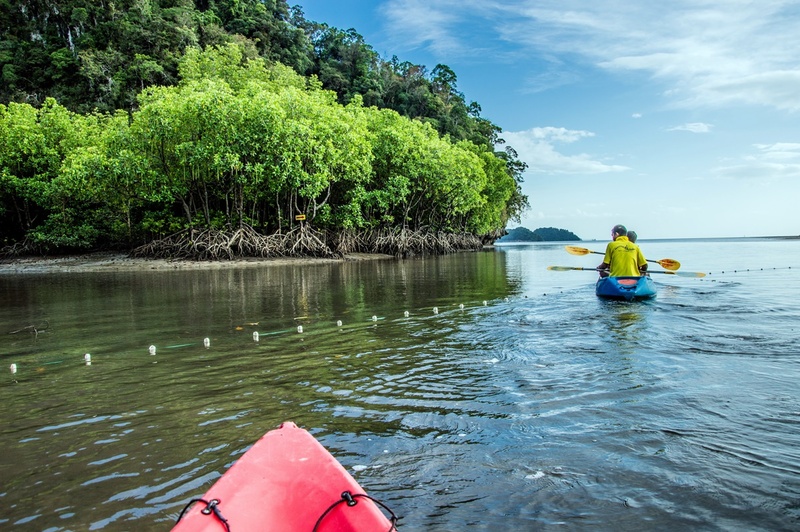 Kayaking tours are offered at every hotel in Krabi and always include a transfer to the starting point. Now this is a beach that looks perfect even without Photoshop. Come here to admire the cliffs, which look as if they’ve been thrown into the water by a giant, then laze on the white sand and glide through the turquoise water. The beach is quite small and tends to get overcrowded during high season. How to get to Railay Beach: It’s accessible only by boat due to the towering cliffs that surround it. Take a longtail boat from Krabi (Khong Kha pier) or Ao Nang, around 150 baht one direction. This service is available a few times a day between 9 am and 5 pm. You can begin your ascent of the coastal cliffs by taking a rock climbing course for beginners (there are several climbing schools, just follow the signs). However, if you’re a bit more experienced, you can embark on an unguided climb that is definitely not for the fainthearted; while at the beach, just look for the miniature red dots that mark out the climbing trails along the cliffs. Bring your own gear or rent some equipment for the day. Ao Nang is a beach close to Krabi (with a regular bus and songthaew connection between the two towns). It’s a tourist area, full of resorts and bars. 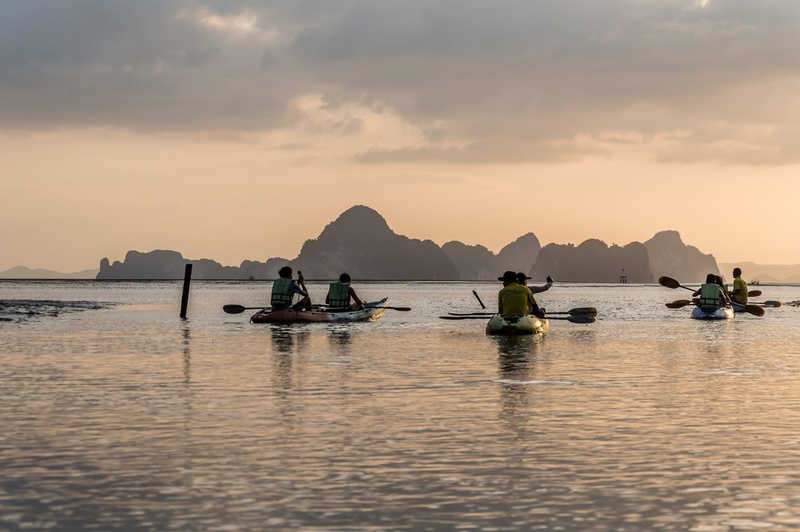 The beach is average – nothing like what you’ve seen on Pinterest photos of Thailand – but the area is well-connected as a base for day tours into the surrounding nature. It takes 45 minutes to get to the six Phi Phi Islands by boat. The scenery made famous by the 2000 movie The Beach is truly amazing and protected as part of a marine national park. Special tip: The beach gets overcrowded, so the only chance you have to see it without scores of tourists is to arrive very early in the morning. Alternatively, you can spend the night there and wake up before the hordes of day-trippers arrive. These natural hot tubs in the rainforest have been carved into soft rocks and are directly fueled by a thermal spring. Enjoy the ~86ºF (30ºC) salt-rich water and finish with a refreshing dip into the nearby cool stream. The hot springs are located 43 mi (70 km) from Krabi Town. The nearby Emerald Pool is another natural spa where you can swim in warm mineral water and enjoy the serenity of the forest. 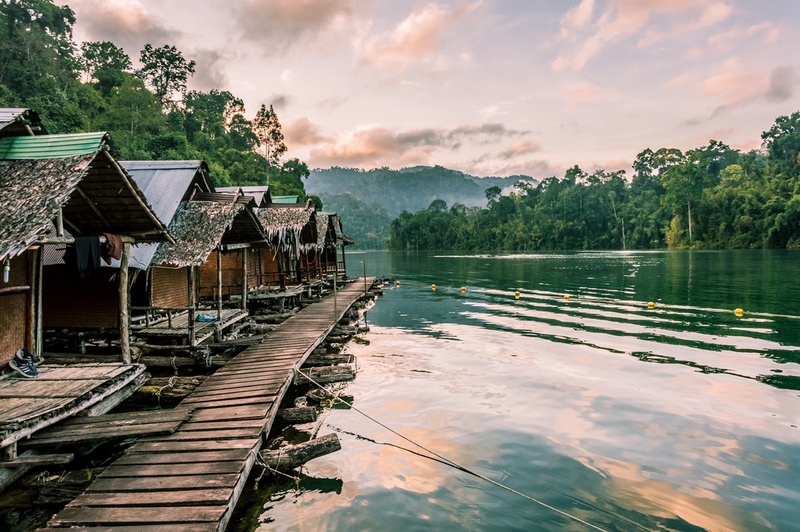 Khao Sok National Park is a piece of wild jungle with the amazing Cheow Lan Lake – where you can spend the night in a floating bungalow – within its borders. Enough said. Oh, and it’s also home to the Rafflesia – the biggest flower in the world. How to get to Khao Sok National Park: There are several minibuses every day from Krabi and Ao Nang to Khao Sok. The cost is 300 baht and it takes two hours. Riding elephants is a widespread attraction all over Thailand, but the only reason for its existence is the fact that tourists pay for it. Elephant riding was recently forbidden in India for a good reason – the conditions the animals are kept in are often awful and the seats used to make tourists more comfortable hurt their backs. Don’t ride elephants and don’t let your friends do it either; as fewer people become interested in elephant riding, Thai people will switch to other business ideas.